Description: Course set in a multi-use park that plays around a swimming pool & baseball diamonds. Decent mix of shots with some longer holes and plenty of OB with fences. Local Directions: From west: Take HWY-33 through Fox Lake. Go straight at intersection of HWY-33 & HWY-68. Go straight at intersection of HWY-68 & CTH-A. 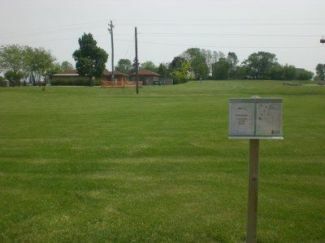 Course is immediately on the right after intersection and is next to the public pool. From East: Take CTH-A east off of HWY 151. Continue straight until just into Fox Lake. Course is just before the stop sign & on the left side of the road.